^ Hamner, Christopher. 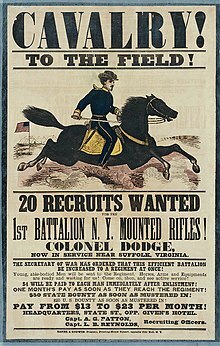 "Union Cavalry." Teachinghistory.org[リンク切れ]. Accessed 11 July 2011. ^ Pedigree of Reinz, a famous Morgan horse used by General Philip H. Sheridan. Longacre, Edward G. Lincoln's Cavalrymen: A History of the Mounted Forces of the Army of the Potomac. Mechanicsburg, PA: Stackpole Books, 2000. ISBN 0-8117-1049-1. Longacre, Edward G., and Eric J. Wittenberg. Unpublished remarks to the Civil War Institute, Gettysburg College, June 2005. Mackey, Robert R. The UnCivil War: Irregular Warfare in the Upper South, 1861-1865. Norman: University of Oklahoma Press, 2004. ISBN 0-8061-3624-3. Nosworthy, Brent. The Bloody Crucible of Courage, Fighting Methods and Combat Experience of the Civil War. New York: Carroll and Graf Publishers, 2003. ISBN 0-7867-1147-7. Gerleman, David J. "Warhorse! Union Cavalry Mounts." North and South Magazine Vol. 2, No. 2, (January 1999), pp. 47–61. Longacre, Edward G. General John Buford: A Military Biography. Conshohocken, PA: Combined Publishing, 1995. ISBN 0-938289-46-2. Starr, Stephen Z. The Union Cavalry in the Civil War. Vol. 1, From Fort Sumter to Gettysburg 1861–1863. Baton Rouge: Louisiana State University Press, 1981. ISBN 978-0-8071-3291-3. Starr, Stephen Z. The Union Cavalry in the Civil War. Vol. 2, The War in the East from Gettysburg to Appomattox 1863–1865. Baton Rouge: Louisiana State University Press, 1981. ISBN 978-0-8071-3292-0. Starr, Stephen Z. 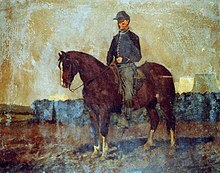 The Union Cavalry in the Civil War. Vol. 3, The War in the West 1861–1865. Baton Rouge: Louisiana State University Press, 1981. ISBN 978-0-8071-3293-7. Wills, Brian Steel. 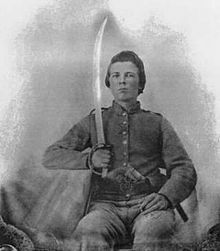 The Confederacy's Greatest Cavalryman: Nathan Bedford Forrest. Lawrence: University Press of Kansas, 1992. ISBN 0-7006-0885-0. Wittenberg, Eric J. 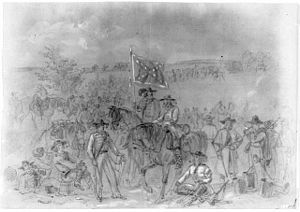 Glory Enough For All: Sheridan's Second Raid and the Battle of Trevilian Station. Washington, DC: Brassey's, Inc., 2001. ISBN 1-57488-468-9. Wittenberg, Eric J. 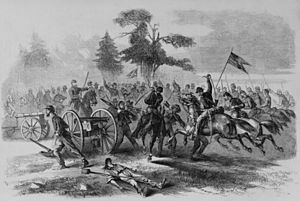 The Battle of Brandy Station: North America's Largest Cavalry Battle. Charleston, SC: The History Press, 2010. ISBN 978-1-59629-782-1.